Every now and then, an actor has the opportunity to work with great directors, and thereby learns a bit about the craft. These experiences can awaken a dormant passion to not just be a part of a film, but to create one. More often than not, these actors fall on their face, believing that money and influence will make a good movie without the talent possessed by their mentors and peers. But some actors-turned-directors, like Clint Eastwood, Charles Laughton and Ben Affleck, end up making immense contributions to cinema. Out on DVD this week is the first film by Samantha Morton (Minority Report, The Messenger, Morvern Callar), and it turns out that one of the most underrated actresses of our time is well on her way to becoming one of the most underrated directors as well. 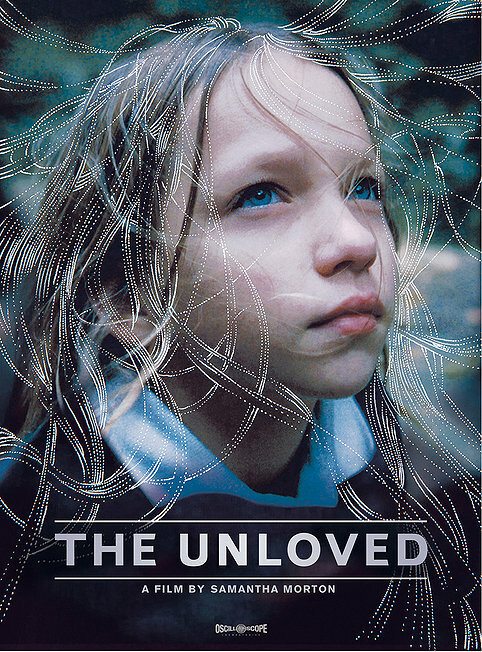 In a way The Unloved is about a girl named Lucy; she is, at first glance, the titular character. Her mother refuses to take her in, and her father is mildly abusive. Lucy seeks help from her social worker, which results in her placement in a children’s home with a collection of other stranded youth. There she befriends a girl 5 years her elder – that girl, Lauren, is struggling to come of age in the same system, and takes her in almost maternally. Lauren and Lucy spend great time together, and it soon becomes clear that neither is truly unloved, as the title suggests, as they do have each other. The film isn’t a sentimental drama about a girl. The title of this film, as made evident by the closing titles, is very clearly a plural adjective. It is about all of the unloved children in Britain, for whom Lucy becomes a kind of surrogate. The system for children is almost beyond repair. It is just as bad on this side of the pond, so my comment isn’t a criticism against the British, it is simply the state of things, however unfortunate that may be. Children in bad home situations who need to get away from their abusive parents turn to the state to protect them, but the state does no better. They remain unloved. The screenplay was written by Tony Grisoni who famously wrote Fear & Loathing, but more recently wrote the scripts for all three installments of the Red Riding Trilogy. His tendency towards the socially realistic comes through here, but that contribution is far outshined by Samantha Morton’s, who came up with the original idea, and filled the project with lush imagery from nearby Nottingham. Morton has worked with Steven Spielberg, Woody Allen, Lynne Ramsay, and Anton Corbijn, among others, but the influence of the latter two is most prominent. The strikingly composed tableaux (Corbijn) fused together with the social realism/poetic (Ramsay) create an intoxicating film that is impossible to turn away from. Morton made this film for broadcast television (where it did garner a few awards) because, as she says, she didn’t want there to be children who could not afford movie tickets, and thereby not see the film. If it were to appear on television, most of those children would be able to watch it for free. This is a film about children, for children, and yet somehow it points an unabashedly accusing finger at adults, too. This entry was posted in Reviews and tagged Child Welfare, DVD, Samantha Morton, Social Work, The Unloved. Bookmark the permalink.